SIA Model Management is Townsville's leading Model and Promotional agency. Director, Drosia Parliaros, opened the Agency Doors in 2016 with a vision to provide our clients with the highest level of professionalism and talent. Our team of Models and Promotional Staff are all professionally trained within a warm and friendly environment. We have talent available for Photo shoots, Television Commercials, Runway Shows, Fashion Parades and Promotions. Our SIA Kiddies are also available for Fashion Parades, Televison Commercials and Photo Shoots. SIA Model Management hold Deportment, Etiquette and Modelling workshops throughout the year. Please see ‘workshops’ for more details. Drosia and her entire team are extremely professional and truly brought our vision to life. 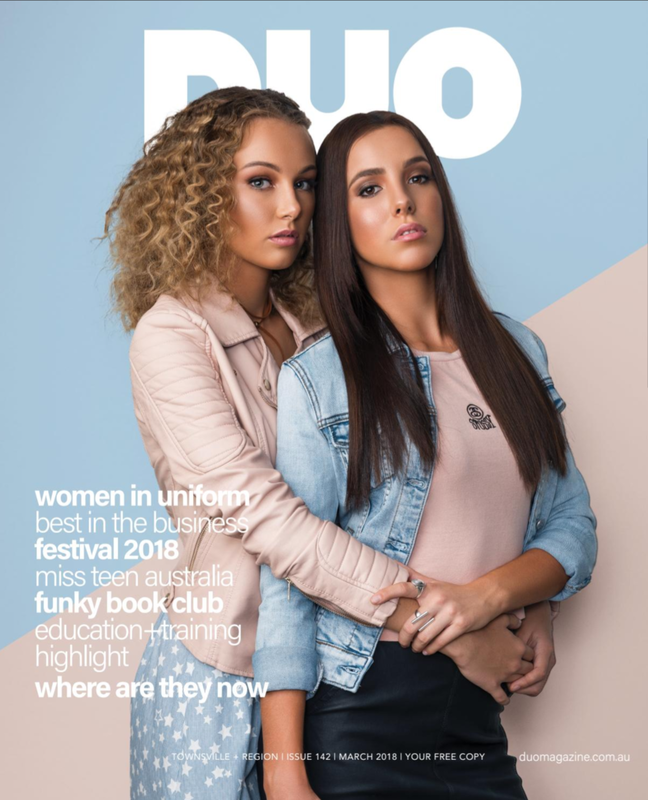 SIA Model Management managed the Stockland Townsville Fashion and Beauty Festival roving parades which spanned across 3 days in October 2017, coinciding with the massive launch of the first H&M in North Queensland. Drosia coordinated the parade from beginning to end including selecting, collecting, styling and returning apparel and products to retailers within the centre. Drosia made tactful suggestions and recommendations along the way which not only improved the outcome of the event aesthetically, but also created a safer and better flow of traffic within the shopping centre. The SIA Model Management models are equally professional, putting on a show that easily rivaled or outpaced metro ones, doing so enthusiastically and with evident passion. We continue to book Drosia and her team. Thank you to Drosia and her team and the amazing models of SIA Model Management. CastleTown has been lucky enough to work with Drosia Parliaros of SIA Model Management for over two years now. Drosia is such a pleasure to work with. We’ve used her as a stylist, visual mercandise coordinator and of course as a fashion parade coordinator. Drosia is reliable, creative and has an excellent eye for detail. In short, she makes us look good! Wearable Art Townsville has engaged the services of SIA Model Management on a number of occasions and each time we have been extremely satisfied with the agency. SIA has organised over 40 models for our WAT Event 2017. We unreservedly recommend SIA Model Management to anyone who wants to work with an agency which is passionate about, and dedicated to providing fantastic service to their clients. SIA Model Management is the premier Modelling agency in Townsville. SIA, “Drosia” has the talent and passion to promote any business or event. I love that SIA Model Management work closely with you to achieve the ultimate desired outcome. The calibre of models and event personnel SIA Model Management have on their team is fantastic for local Townsville businesses.